Today I was thinking about church and prayer meetings. When we first moved to St. George, we found our home, church and a grocery store. We had to laugh at the locals because they said the grocery store was all the way across town. Coming from Phoenix, AZ I was expecting a drive. Nope, it was just a mile or two if that. Anyhow, back to my thoughts on prayer. 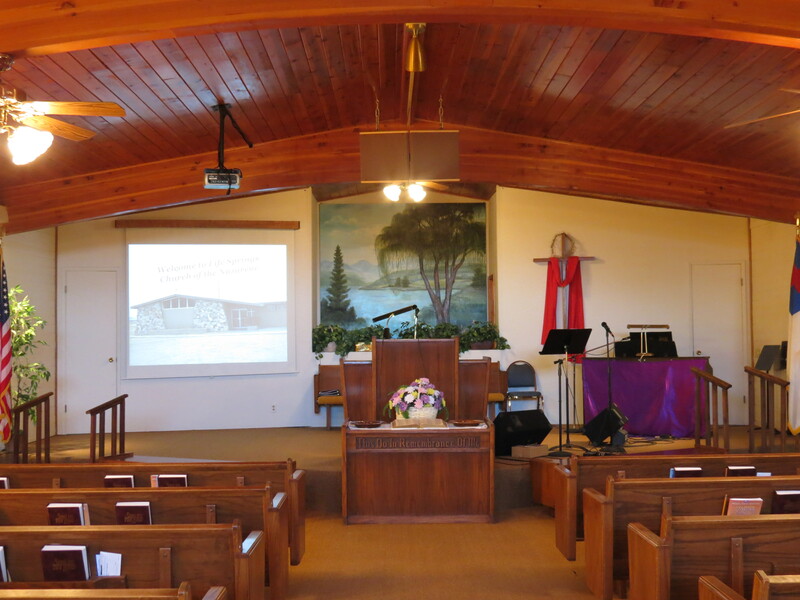 For those who have read my past blogs, you will know that I went to a Nazarene Church in Willcox , AZ. I was baptized in that church and most of my fond memories of church go all the way back to the Nazarene Church. When we moved here, there was no Nazarene Church so we ended up at St. George Community Church. I have no regrets for the most part since I feel just as at home there as my church I grew up in. In my heart, I think I will always be a Christian that has the ways and beliefs I was taught in the Nazarene Church. The reason why I got on this topic is because of a message my brother in law got from a guy at my church that they were doing a Mens Prayer group. When we first started at the church it was Sunday Services only and no evening services. I think for most churches in our area that is still true. I believe there is only a couple churches that meets on Sunday nights. The churches I always went to had a Weds Evening Service. 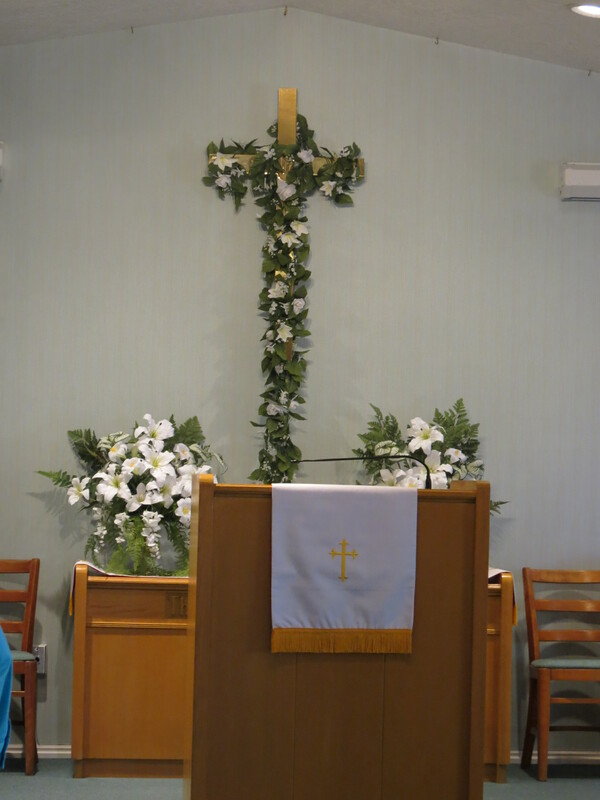 The service was different than the ones on Sunday. On Weds if focused on prayer. The service for the most part would last about an hour or so. Depending on how many prayers were being said. We would start with a opening prayer, song, a short message or whatever else the pastor wanted to share. Sometimes it wasn’t a message, it would be whatever was on his heart at the time. Then we always ended in prayer. 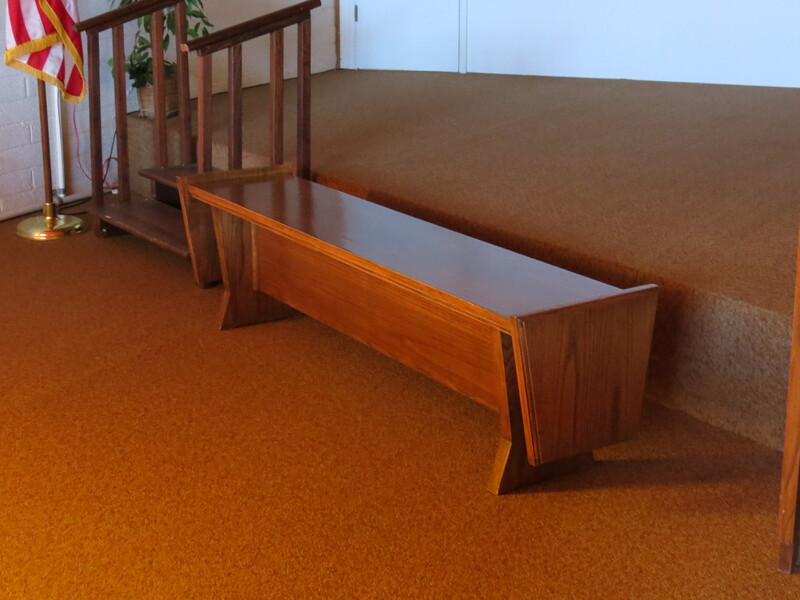 Our church had actual alters for prayer. Those people who could kneel would kneel, the others would come closer and pray. If a person wanted to say a prayer and share with others they could do that. There was no time limits or limits on what to pray for. If they were like me where I didn’t like to pray out loud, I would pray silently and listen to the prayers of others. When I first walked into our church here in St. George, I have to admit I looked around for the alters to pray. To me it didn’t seem normal to not have one. I did finally ask someone once we decided it was the place to be. They told me that they have an alter in front. OK! Now I’m dumbfounded over how I could miss alters in front. I know I don’t have the best ability of paying attention. But there was no alter that I could see. Then they pointed it out to me. They called the table that says ” Do this in Remembrance of Me” an alter. I’m sure I gave them the ‘what the heck are you talking about” look. Our church had that one too. But that is where we put the Bible and candles and whatever else that was suppose to go there. I didn’t see how people could kneel and pray at that table that is taller than my dining room table. It must still bother me, because it doesn’t seem right that there isn’t a designated place to pray and to come forward to pray. It must just be a me thing because nobody else mentions it. Some say you can pray in the pew or where ever you are and that is true. I can’t argue there. But there is something special about going before the Lord in prayer and joining others that are praying. I don’t know if a Weds night prayer service would work too good since most are older people who don’t drive. But I think it would be cool to do that. Looks like they have plenty of room for a real alter on the left side of that big table. Thats really weird. there are chairs at the left side that you can’t see… But I wonder why there isn’t one in a lot of the churches around here. Maybe it is a Utah thing or something, not sure though.